Is cloud gaming the future of online video games? en Is cloud gaming the future of online video games? French start-up Blade thinks it has what it takes to succeed in the space. 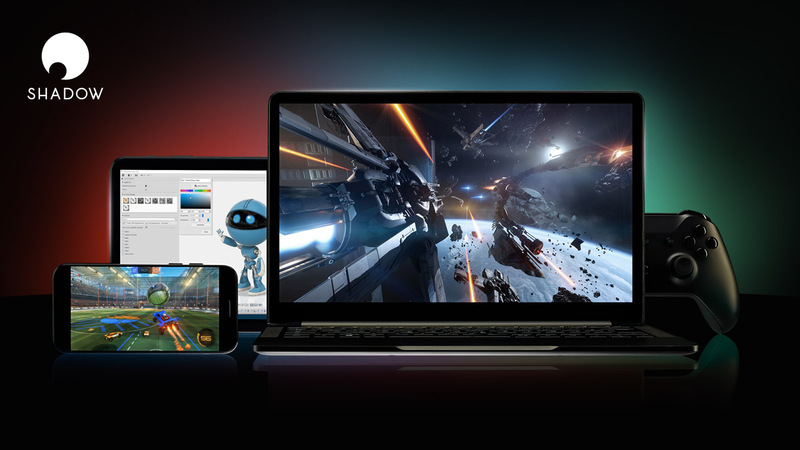 Its cloud gaming service, Shadow, aims to bring the experience of playing a powerful gaming PC to any device, be it a laptop, tablet, phone, or smart TV. Blade’s goal for “Shadow” is substantially more ambitious than any of its peers. Rather than creating a service that delivers content, it wants to replace your console or gaming PC entirely. Booting up Shadow serves you a virtual Windows machine, which you can use to play your games on Steam, Origin, Humble, and Itch.io. The games purchased by yours, and yours to keep, from the standard storefronts. Your Shadow machine is just like any computer you’d own, except you can access it on any device for which Blade has created a client, including Macs, PCs, iOS, and Android devices. Shadow also works directly on Sony smart TVs through an Android client, and a client for Tizen-based Samsung smart TVs is on the way. French start-up Blade thinks it has what it takes to succeed in the space. Its cloud gaming service, Shadow, aims to bring the experience of playing a powerful gaming PC to any device, be it a laptop, tablet, phone, or smart TV. Blade's goal for "Shadow" is substantially more ambitious than any of its peers. Rather than creating a service that delivers content, it wants to replace your console or gaming PC entirely. Booting up Shadow serves you a virtual Windows machine, which you can use to play your games on Steam, Origin, Humble, and Itch.io. The games purchased by yours, and yours to keep, from the standard storefronts. Your Shadow machine is just like any computer you'd own, except you can access it on any device for which Blade has created a client, including Macs, PCs, iOS, and Android devices. Shadow also works directly on Sony smart TVs through an Android client, and a client for Tizen-based Samsung smart TVs is on the way.